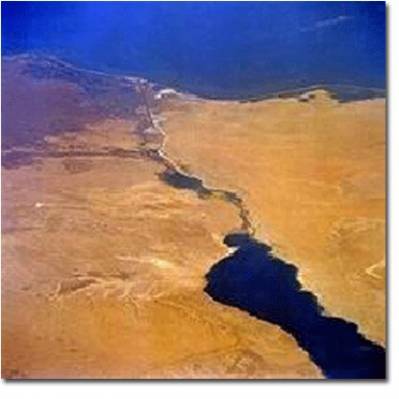 Suez Canal connects Port Said on Mediterranean Sea and Suez on Red sea. 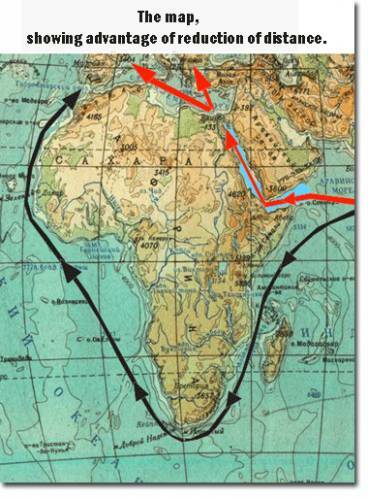 Transportation of z Canal connects Port Said on Mediterranean Sea and Suez on Red sea. Transportation of cargoes through the channel remains to one of the cheapest and safe ways of transportation of the goods between Europe and Asia by the sea transport. Opened for navigation in 1869 the channel long time was under control of Frenchmen and Englishmen. At channel Administration the fund in which 25 % of all total receipts for financing of capital works and permanent jobs on channel deepening are brought is created. However, despite allocated, not the small money resources, once deepened to 20 meter depths, depth of the channel again decreases. Today the channel management officially guarantees to seafarers depth of 13 meters that is maximum permissible for swimming of large-capacity fleet. Every year published by the International Sea Organization (IMO) notices inform on tens the ships, which have sat down on a bank, following Suez Canal. in the Israeli ship canal, in comparison with Suez.